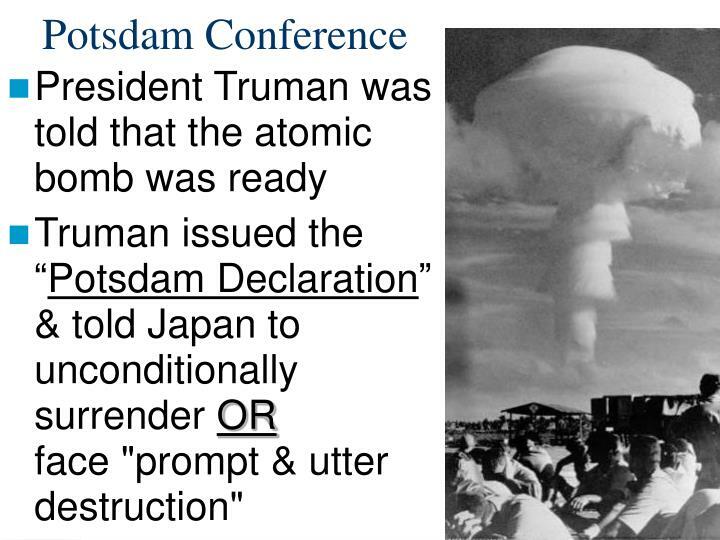 16 July was significant in that the Atomic bomb was successfully tested, exploding the equivalent of 20,000 tons of TNT and a blast point of 750 degrees F. Oppenheimer would then prepare the test results for his report to Henry Stimson in Potsdam. 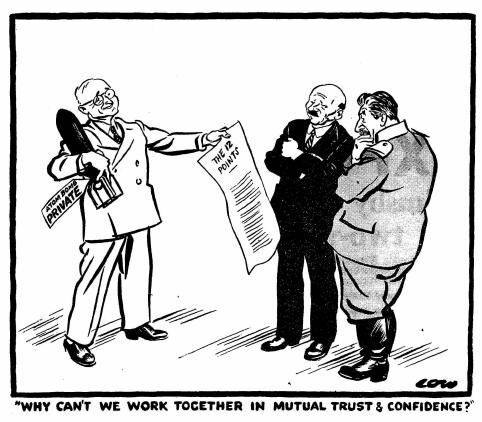 Truman confided the news to Churchill and the two rulers instantly decided that at least two bombs would be dropped on Japan. This decision was made despite the arguments of Adm. Leahy, General “Hap” Arnold and Gen. Dwight Eisenhower who strongly spoke against it’s use, calling it completely unnecessary. Many of the scientists that worked on the Manhattan Project felt that such a dramatic scientific discovery should not be used. The petition, “…the liberated forces of nature for the purpose of destruction … open the door to an era of devastation …,” was signed by 57 scientists. They had the foresight to visualize the nuclear problems that we face today, but their qualms went unheeded. By this time, Prince Konoye had spent two years laboring to uncover a route to peace. The prince had had the correct procedure all along, but mistakenly had chosen the Soviet Union as the go-between. 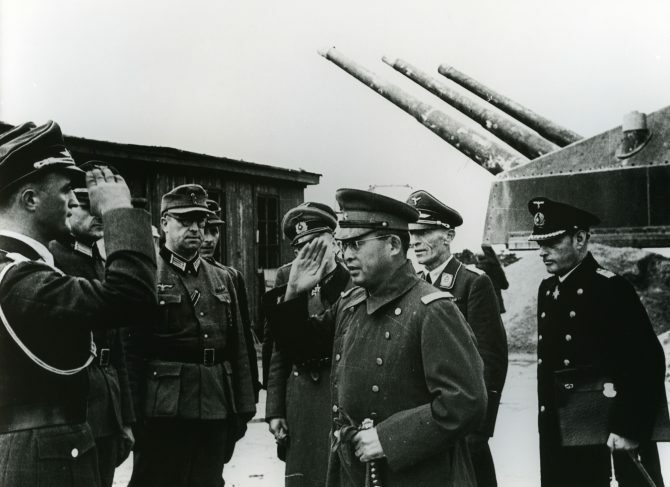 Stalin had his own agenda in mind for the Japanese and their territories and therefore he deceitfully strung the envoys along with various delaying tactics. Cletis L. Leatherman – Sparks, NV; US Army Air Corps, Japan Occupation, 11th Airborne Div. 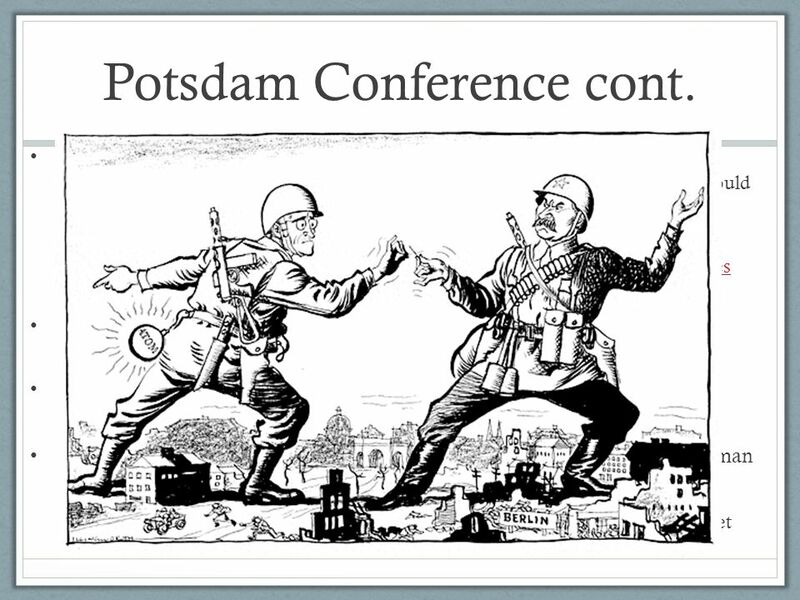 Posted on October 18, 2018, in WWII and tagged 1940's, History, Japan, Military, Military History, Pacific War, Politics, Potsdam, Truman, WW2, WWII. Bookmark the permalink. 161 Comments. 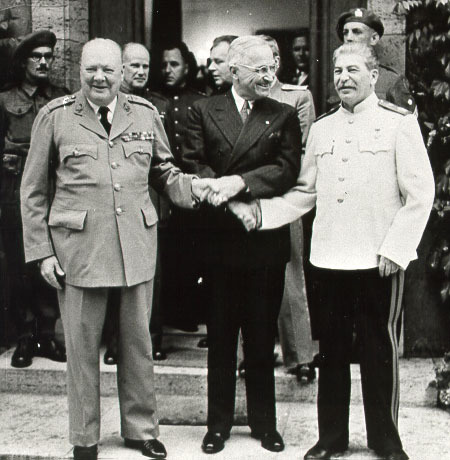 It’s amazing how much of today’s world was created in those final months of World War II. Very nice piece. Yes. We are still affected by that war today, even if the kids don’t realize it.